Woodland Hills is car-dependent, is somewhat bikeable and has a few nearby public transportation options, according to Walk Score's rating system. So what does the low-end pricing on a rental in Woodland Hills look like these days--and what might you get for your money? We took a look at local listings for studios and one-bedroom apartments in Woodland Hills via rental site Zumper to find out what budget-minded apartment seekers can expect to find in this Los Angeles neighborhood. 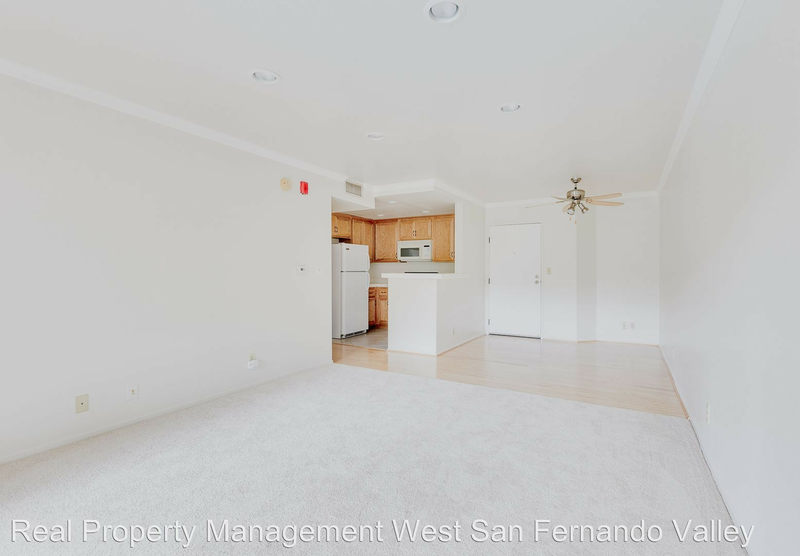 This one-bedroom, one-bathroom abode, situated at 22100 Burbank Blvd., #214B, is listed for $1,650/month for its 599 square feet of space. The building features a swimming pool and outdoor space. In the unit, anticipate hardwood floors, a ceiling fan, wooden cabinetry and a dishwasher. Cats and dogs are not welcome. Here's a one-bedroom, one-bathroom at 22044 Clarendon St., which is going for $1,695/month. The apartment features air conditioning, hardwood flooring, a ceiling fan, a dishwasher, a fireplace, stainless steel appliances, wooden cabinetry and granite countertops. The building boasts on-site management, assigned parking, on-site laundry and a swimming pool. Pet owners, inquire elsewhere: this spot doesn't allow cats or dogs. Then there's this 900-square-foot with one bedroom and one bathroom at 5633 Topanga Canyon Blvd., listed at $1,707/month. Apartment amenities include air conditioning, a dishwasher, wooden cabinetry, carpeted flooring and a balcony. The building offers amenities like an elevator, a swimming pool and outdoor space. Good news for pet owners: cats and dogs are welcome here. Listed at $1,797/month, this 780-square-foot one-bedroom, one-bathroom apartment is located at 21316 Costanso St. The building offers assigned parking, on-site laundry and extra storage space. In the unit, you're promised air conditioning, hardwood flooring, ceiling fans, wooden cabinetry and granite countertops. Good news for cat lovers: kitties are allowed. Finally, this one-bedroom, one-bathroom, situated at 22100 Erwin St., is listed for $1,815/month for its 800 square feet of space. The apartment boasts air conditioning, a dishwasher, a breakfast bar, wooden cabinetry, stainless steel appliances and a balcony. The building has assigned parking, an elevator and a swimming pool. Cats and dogs are allowed.